College Placement Tests - After you’ve been accepted by a college, you may need to take placement tests. Colleges use placement tests in subjects like math and English to check the academic skill levels of entering students. Then the college can place each student in classes at the right level. The tests usually measure skills in these subjects – Math, Reading & Writing. 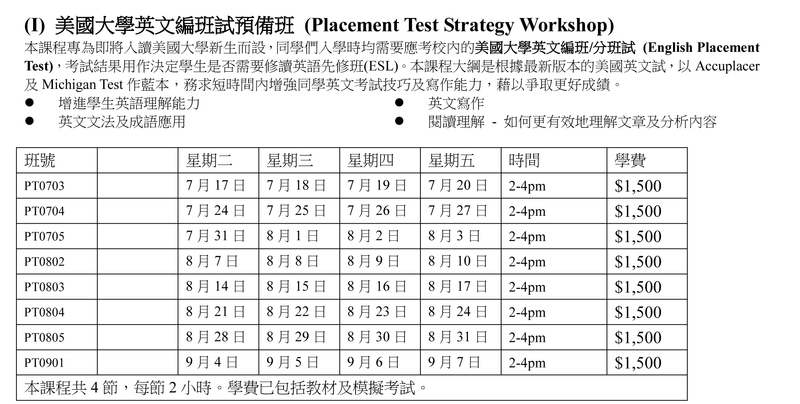 So join this course to improve your chances of success in the placement test. For course schedule, please click on the icon on the left side of the page.